HANJIN SHIPPING: Its bankruptcy brought the issue of demurrage and detention penalties to a head. Shippers, drayage companies, and intermediaries want the FMC to issue rules on the assessment of penalties. Ocean carriers told FMC they do not use penalties to raise revenues. Carriers and terminal operators to FMC: Grievances are anomalies, not the norm. 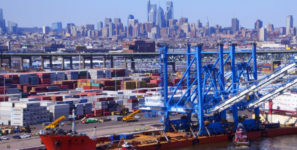 The Federal Maritime Commission (FMC) heard to dramatically different sets of stories this week on the issue of detention and demurrage charges levied by ocean carriers and terminals against shippers, truckers, and intermediaries. The FMC conducted hearings on Tuesday and Wednesday on whether it should issue guidance or rules related to those assessments in response to a petition filed in December of 2016 by the Coalition for Fair Port Practices. At issue are the free days shippers and trucking companies are normally given to pick up containers from ports, after which they can be charged demurrage. Detention and per diem fees can also be charged if containers and chassis are not returned within a specified time. Controversies over penalties have pitted shippers and truckers against ports, terminals, and ocean carriers for some time, coming to a head last fall when the bankruptcy of South Korea’s Hanjin Shipping left cargo owners unable to pick up containers on time and preventing them from returning empties and chassis. The petition before the FMC asks the commission to adopt a policy that would require free days to be extended when delays are caused by circumstances beyond the control of the parties. On Tuesday, the commission heard from shippers, drayage companies, and intermediaries who want the FMC to promulgate rules governing the assessment of the penalties. Finkel added that cases of penalties are not the norm, and don’t require the FMC taking rulemaking action. Terminal operations are now becoming more competitive, according to Ed DeNike, president of SSA Containers, providing a disincentive for them to by hitting shippers and dray operators with extra charges. The FMC must now figure out whether instances of excessive penalties are infrequent and episodic or whether the situation is systemic, justifying the commission’s regulatory intervention.